Connect the Lost to Christ through Evangelism & Outreach, "Each One, Bring One"
If you need prayer for any circumstances in your life, we want you to know that we care for you here at New Home A.M.E. Zion Church. 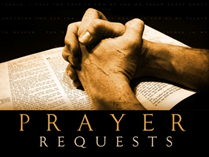 Your prayer request is received by our Intercessory Pray Ministry who will pray on your behalf or you may join the prayer ministry every Tuesday from 6-7pm. You are invited to submit your prayer requests or praise reports below. Your requests will be forwarded to us and we will contact you if necessary. May God bless and keep you in His care. If you're ready to make a difference; if you're ready to influence the world, this is your opportunity! Whether you bring your tithe as a step of obedience to the Word of God or contribute as an act of generosity, your money will result in more return here than any other place in the world, a return evident in lives changed. Your contributions will help spread Christ's message of hope and freedom to so many people and places in our area and around the world. We understand that security is very important to you, so be assured that your personal information is managed in a secure environment. All bank card data is transferred through a secure connection with PayPal and is not stored on our servers. To start giving online, simply click the button and follow the instructions.